Tunnel and bridge crossing “Sakhalin - Mainland” may become the next global construction in the Russian Far East after Asian-Pacific Economic Cooperation Summit objects. Experts call it the bridge into the future: it will not only connect the island with the continental part of the Russian Federation, but it may become kind of bridge between South East Asia and Europe. The project jump-starts economic growth to the whole Russian Far East. The idea of a secure all-year-round connection of Sakhalin with the Mainland has existed for quite a long period of time. It was indissolubly tied to plans of wide exploration of the Nizhny Amur territory. Mid XIX century the idea was outspoken by famous seafarers Admirals G.I. Nevelskoy and N.M. Chikhachev, but their proposal was not supported by the Russian Government. In 1892 Kharkov merchant Gudkov proposed to erect a sea-wall across the Nevelski Strait. Survey work for construction of a railway to the ports of Nikolayevsk-on-the-Amur and De-Castri was arranged for moneys of Priamurye merchants, but once again the project was not accepted by the country government. The project of Navigator N. Ostashevsky was neither developed. In 1915 he stated his idea to Amursky Region General Governor N. Godatti. In addition to economic benefits of the sea-wall construction the author of the idea suggested to strengthen defense capability of the Amur Estuary. But then the Civil War started, and after that it was the Great Patriotic War, so the project was forgotten for another half a century. In 1950 the idea of connecting Sakhalin with the Mainland by the railroad was declared by Stalin. Options of a ferry crossing, of a bridge and a tunnel were considered. Soon an official decision (secret Decree of the Council of Ministers of the USSR dated May 5, 1950) to construct a tunnel in the area of the Lazarev-Pogibi Cape for connection Komsomolsk-on-the-Amur and the Sakhalin Island was taken. 120 km of the railway track on the right bank of the Amur from Selikhovo station to Cherny Mys Station was built on the Mainland (later on the railroad was used for timber transportation). At the Lazarev Cape (the expected starting point of the tunnel) a shaft was sank and an artificial island of 90 m diameter was mounded 1.6 km offshore. After Stalin’s death and release of prisoners under the amnesty the work on the project was scaled down. Rapid development of Sakhalin economy required for a fast solution of transport problem, that is why the ferrying option was realized. However, in the beginning of XXI century it became obvious that the ferry crossing ran out of steam and was not able to ensure for uninterrupted transport communication and to meet economy needs. Some years ago OAO RZD prepared an Investment Feasibility Study for the project. 14 engineering and scientific institutes led by a primary contractor, State Research and Scientific Institution “Council on Investigation of Production Forces” of the Ministry of Economic Development of the Russian Federation and Russian Academy of Sciences participated in the study. All of them came to the conclusion that the project is strategic for the country, also from the geopolitical point of view. The project consists of four parts. The first one is construction of the railroad through the territory of Khabarovsk Region (from the existing railway track to the bridge crossing). The second part is the crossing itself whatever it is going to be (a bridge, a tunnel or a sea-wall, the last one being also able to function as a power station with a by-pass canal), the decision has not been taken yet. The third portion is modification of the narrow Sakhalin gauge into the general network standard. The fourth one implies construction of the railway section (43 km) Uglegorsk-Ilinsk at the Western coast of Sakhalin to connect the largest Sakhalin coal deposits with the ice-free ports in the South of the Island. The estimated cost of the project is USD 13-14 billion. “This is the money comparable with APEC Summit, Sochi Olympiad and other projects. Our project has the right to exist, it is absolutely realistic. Creation of the East-West corridor will be a good incentive for development of the Russian Far East”, Governor of the Sakhalin Region Alexander KHOROSHAVIN considers. In the meeting with Yuzhno-Sakhalinsk inhabitants he declared that one of the key missions of his governorship is to achieve implementation of the project. “This project is not only economical; it is also social and political. That is the project, which unites our country”, Governor said then. The Head of the Region thinks that “Detachment of Sakhalin from the continental Russia has negative impact not only at the regional economy, but at mentality and mood of its population either”. He was supported by Presidential Envoy in the Far Eastern Okrug Victor Ishayev. “Lack on secure transportation communication between Sakhalin and the Mainland prevents from integration processes with Asian-Pacific Region Countries, makes solution of the issues related to Far East development and ensuring for national security of Russia complicated”. Both of them believe that this wide-scale construction should be carried out together with Baikal-Amur Railroad modernization and should utilize labour potential (that is almost 160 thousand operatives) and construction industry capacity, which are released due to completion of APEC Summit objects in Vladivostok. As per experts, the project will generate multiplier effect for development of the entire Far East and will solve a number of major regional and general state tasks. Construction of the railway section from Komsomolsk-on-the-Amur to the Lazarev Cape (to the crossing point) provides an opportunity for economic development of the considerable area of the North-Eastern part of the Khabarovsk Region where finewood resources are estimated at 7.5 billion cubic meters. Due to inaccessibility of the area every year up to 80 thousand hectares of woods are lost because of wild fires. Implementation of the project connects at once four Far Eastern sea ports (De-Castri, Kholmsk, Nevelsk and Korsakov) with a unified transportation network, thus allowing creation of new exits of Russia to the Asian-Pacific Region and reduction of transshipment load of other Far Eastern ports operating now at their maximum output. Deliveries of goods to the Northern Territories like Magadan, Chukotka and Eastern sector of the Arctic could be switched from Primorye ports on to the ports of Sakhalin. That will help to considerably reduce expenses, the distance for cargoes shipment will be as short as possible. At present the existing transport connection of Sakhalin with the Mainland is the major constraining factor for Island comprehensive complex development including its oil and gas complex. The crossing project will also facilitate traveling of Sakhalin inhabitants to the mainland, having made an alternative to transportation by air. Direct communication with the continent will improve population living standards, lower down the “detachment from the Big Land” complex and improve the demographic situation. In addition, the transport accessibility of the Island having a unique nature will make tourist trips attractive. The Japanese party demonstrates a huge interest to the project. In case of its realization, construction of the crossing between Sakhalin and the Japanese island Hokkaido will become perspective. Thus, the corridor East - West will go through the whole Russia and connect South-East Asia with Europe. Nowadays Korsakov (Sakhalin) - Wakkanai (Hokkaido) ferry crossing is in operation, one-way trip takes 5 hours. It is possible to arrange for an express container line along this route, then shipping cargoes to Europe through Sakhalin and the Baikal-Amur Railroad without intermediary transshipment, using the shortest route and having minimum delivery terms. Shipment of cargoes via the Arctic Ocean takes now 1.5 months, and the route via Africa with “Somali pirates and all like that” takes about several months. Other countries such as Korea demonstrate their interest in the project. These countries are looking for options enabling them to create the largest international transport corridor and Russia may be late, the experts warn. Transcontinental shipment market is fiercely contested now and Russia has real advantages, that is why it is necessary to realize “Sakhalin - Mainland” project in the near future, they believe. Project abandonment by Russia is a loss of the unique opportunity to forward transcontinental transit through its territories. In that case cargoes from the Eastern Asia to Europe will go by alternative routes, which may appear in the near future - TRACEKA, Silk Way and railway crossing Japan-Korea. The lost opportunity will become a strategic loss for the country. 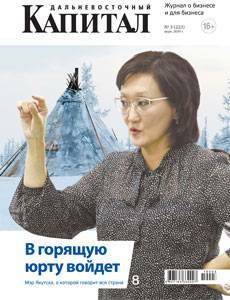 “The idea of bridge between Sakhalin and the Mainland has the right to exist. It would change dramatically the life in Sakhalin”, admitted Prime Minister Medvedev. He stated that in course of his visit to Sakhalin in July 2012. Prime Minister mentioned that this is “a very, very expensive project”. “At the same time its economic essence and social consequences are huge, therefore, for the future we need at least to estimate all potential options and all possible methods of how to connect the continent and Sakhalin’, Mr. Medvedev said. The project related to construction of the railway bridge crossing “Sakhalin - Mainland” is included into the Strategy of the Russian Railway Transport Development and the Strategy for Social and Economic Development of the Far East and the Baikal Region for the period of up to 2025.